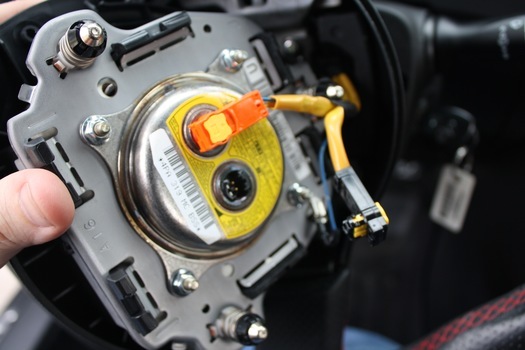 It's actually very easy to remove the air bag on a Scion FR-S or Subaru BRZ (GT-86). You only need few simple tools and these instructions. 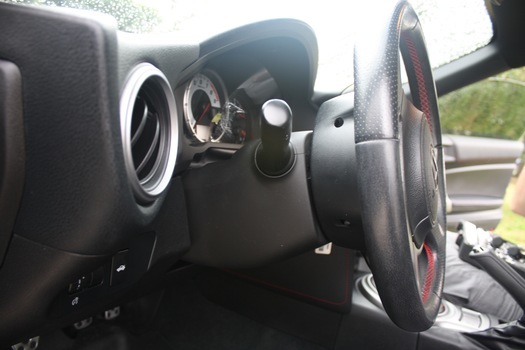 If you're trying to change one of the steering column stalks or swap out the steering wheel, this article will show you how to remove the air bag itself. The FRS/BRZ raises and lowers the windows when you open the door to seal. Lowering the window before disconnecting the battery will make sure it's down before you lose power. Pop the hood and disconnect the negative terminal on the battery. Removing the negative first reduces the potential for sparks. Insert the car keys into the ignition to allow you to rotate the steering wheel. 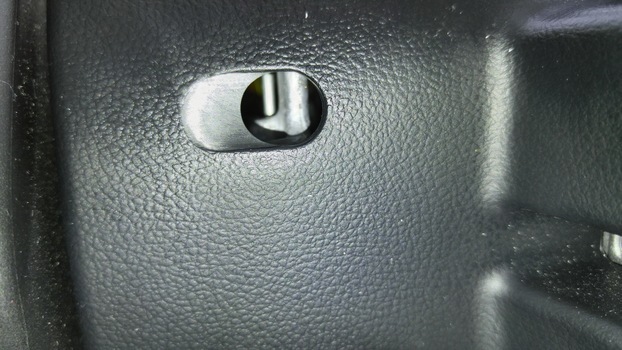 Locate the 3 air bag clip holes on the side of the steering wheel. There is one on the left, right, and bottom of the wheel. 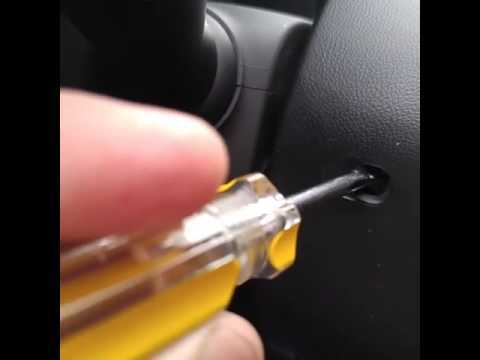 Insert a flat blade screw driver into the hole and press the shiny metal clip inward toward the center of the wheel. It doesn't take much force at all, so if it seems like it's hard, check your aim and try again. Release the other 2 (there are 3 total) clips. When you press the last one in, the airbag will pop loose. Make sure it doesn't flop out and hang by the wires. Air Bags are scary, make sure your battery is disconnected! 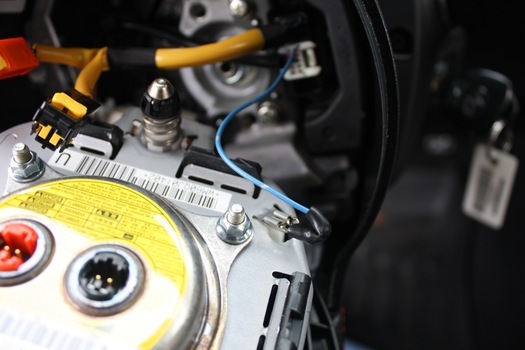 Remove the air bag electrical connectors. Slide a thin flat head screw driver under the yellow clip to pop it up slightly. Then gently wiggle to remove. 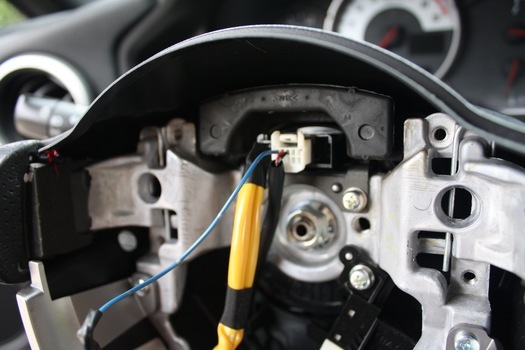 Disconnect the ground wire from the air bag housing. It has a tiny locking release, press it in to remove.